Letters to Juliet, the latest film with Vanessa Redgrave and Italian actor Fabio Testi that every girlfriend of mine is talking about. 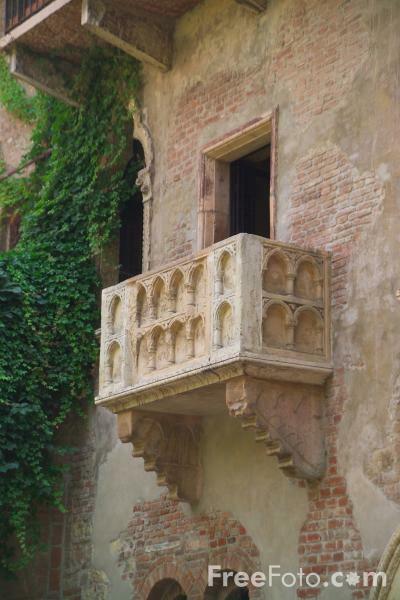 The film is based on “What if you had a second chance to find true love?” and of course there is no better place to talk about love than from Juliet and Romeo’s famous balcony in Verona. Hollywood’s ability to prompt women to dream still amazes me. The Italian sceneries in the film are so beautiful, the golden aura of the Mediterranean projected on ancient walls and stones contributes to the romanticism and fantasy. 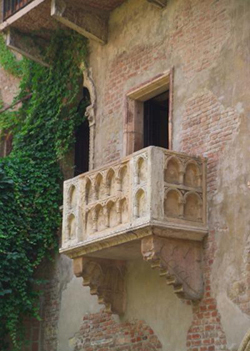 Juliet and Romeo’s balcony is the focus of the last scene that makes the story ending into “they lived happy forever after”. To a realist like me, it was just a nice few hours at the cinema. But what prompted me to write this small piece is the balcony, a piece of architecture that pushed me back in time, when I was a young woman, constantly in love with anybody who walked. Yes, it all happened on the balcony of my mom’s house and when my mom was a young woman, most “seen and being seen” happened on the her mother’s balcony too. 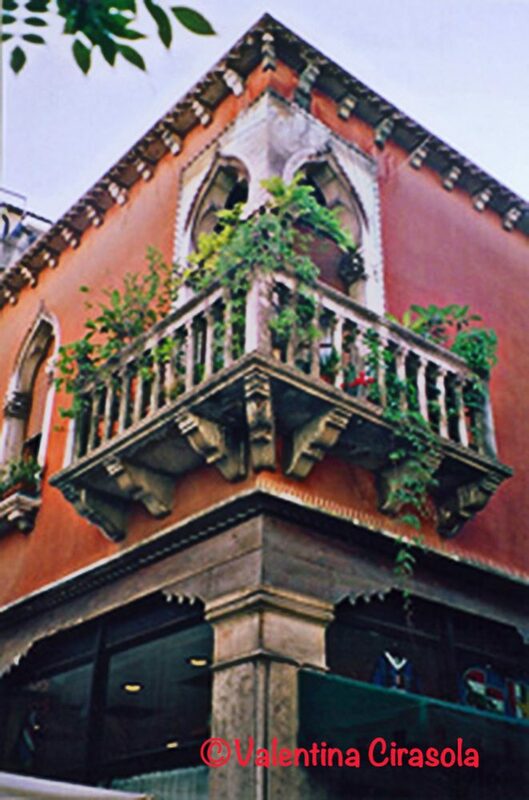 In Italy a balcony is a lived space, an added space to the house, or apartment. We Italians sit on the balcony to admire the view whether we have one or not and if we don’t have a view, we scrutinize our neighbors. We get to know them and all their family problems, somehow the balcony doors are always open. We cultivate small orchards on pots and every possible cooking spice, along with flowers. Colors, colors, colors burst from Italian balconies. Among the few produce planted on balconies, tomatoes take first attention, they are a must in the Italian cuisine. 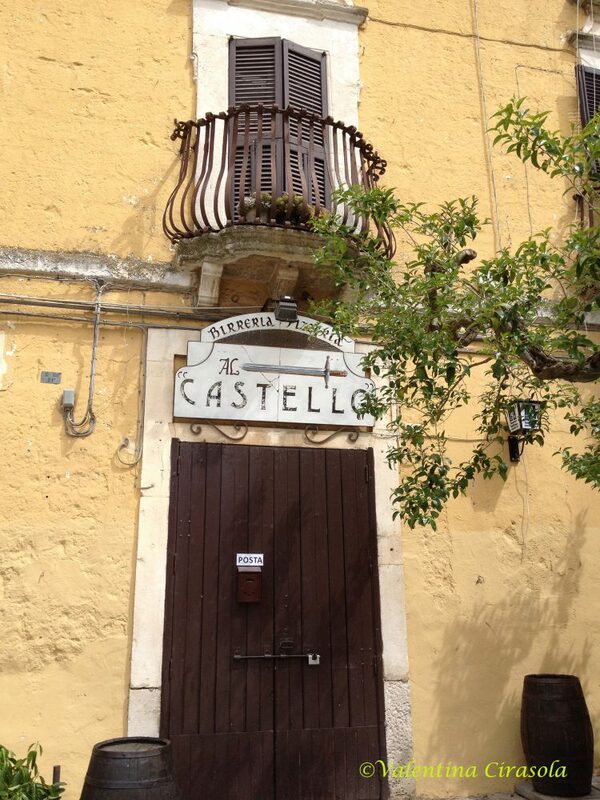 Balconies in Italy are also used to hang clean laundry to dry in the open air, clothes dryers are not popular at all. Naples is one of the most renowned and characteristic city of Italy for its clothes hanging over the streets, leaving to the imagination of the passers-by observations and comments of who could wear those clothes. With a pulley, clothes span from one balcony to another, serving two different families on both sides of the same street. Hanging clothes to dry from balconies is a practice most popular in the the South of Italy where climate is warmer and people colorful. On balconies Italians “mettono tavola” meaning they set an outdoor table and dine al fresco, mostly at night, when they can be refreshed in the cool night air, after a long day of Summer heat. It is an excuse to participating also to the night life of people strolling down below in the street. While all of that goes on in the street, up in the balconies, people carry on with their lives until the small hours of the night, as if nobody sees them. In fact, when the weather is really hot it is not uncommon to get a mattress and sleep on the balcony. To cut down on their routine tasks, housewives lean on balconies and drop a basket down below to the local family owned grocery shop, or drug store to get the small items needed for today’s cooking. The grocer puts in the basket all she needs and the basket returns upstairs, payment for that merchandise comes later. The basket is always attached with a rope to the rail of the balcony ready to be dropped down at any request. On the other hand, women at home, regardless of the busyness of their lives, always have time to spend a few minutes on the balcony to pass along a recipe, or a gossip with the next balcony neighbors, or at best a taste of their cup of coffee. On Italian balconies young women, who are learning the art of coquetry, show themselves off to potential boyfriends, almost like showing off what they have to offer. The young girl coming out of their shells and new at this game, do everything in their power to attract the young man’s attention they are interested in. They appear at the balcony at the same exact time the young man is passing by, because they have studied him and learned every move he makes…..Suddenly, something falls down from the girl’s balcony, just when he is passing through……oh Heaven!….he is looking up…. In America we don’t socialize through our balconies. Actually only upscale homes have balconies, but nobody uses them, they are only there for beauty and to pay more taxes as exterior spaces. Some are even fake, no exit to it, only a rail attached to the walls as a suggestion of balcony. Our privacy is precious and guarded with sentinels, but when we go to Italy, funny, we like how everything evolves over there, even when people enter our lives through balconies without permission. My life in America is so different now, without that closeness to the neighbors and their lives. I truly miss my Italian balcony, a fabulous piece of architecture, that has been the protagonist of love stories through centuries. So, let’s ask ourselves that “What if?”. L’Italo-Americano Weekly Newspaper and Italian American Heritage Foundation paper. A note to say I loved the article in the IAHF Newsletter regarding the Balcony’s. Thanks to Valentina Cirasola. ho cominciato a leggere a ritroso i tuoi blog per una ragione semplice. Quello che scrivi mi emoziona. Ho ritrovato i balconi della mia infanzia leggendo le tue descrizioni dei balconi di una qualsiasi località del meridione d’Italia. Mi è sembrato di rivivere le notti di vigilia di San Giovanni 24/06 quando la signora Maria (la mia vicina) preparava sul balcone la cena con gli immancabili cavatelli con la ricotta dura e si concludeva con gli altrettanto immancabili fioroni (prima raccolta di fichi). Vedi Valentina, purtroppo anche in Italia i balconi cominciano ad essere sempre più chiusi e sempre meno isole di comunicazione. Io, invece, sapevo tutti i fatti privati delle famiglie attorno al nostro balcone. Mi piaceva da morire sapere tutto e fare finta di niente. I used to know everything private about the families around our balcony. It was like playing a game to know and act like I didn’t. It is so sad to know that balconies nowadays even in Italy are more and more used as a closed-in room. I hope they don’t fall out of fashion.